The laboratory is directed by Claire RAMPON and Martin GIURFA. 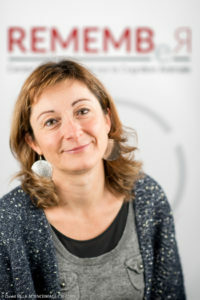 After a PhD in Neurosciences in Michel Jouvet’s lab in Lyon (1997), Claire Rampon joined the team of J.Z. Tsien at Princeton University-USA for her post-doctorate. There she studied the contribution of hippocampal NMDA receptors to memory processes using transgenic mice. Appointed associate professor at Paris XI University in 2000, she started characterizing the role of adult hippocampal neurogenesis in memory process. 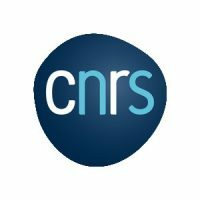 In 2005, Claire Rampon joined the CNRS and integrated the Research Center on Animal Cognition (CRCA) in Toulouse. Today, she is Research Director at CNRS and the current Director of the CRCA in the Centre for integrative Biology (CBI). Her research aims to characterize cerebral plasticity underlying learning and memory functions in the healthy brain and in mouse models of pathologies associated with memory dysfunction (such as Alzheimer's disease). Precisely, her interest focusses on the role played by adult-generated hippocampal neurons in memory formation and how endogenous neural stem cells from the adult brain can be manipulated to become new neurons that drive cognitive rehabilitation. Martin Giurfa is an exceptional-class professor of the University of Toulouse. He is currently the Deputy Director of the Research Center on Animal Cognition (CRCA). 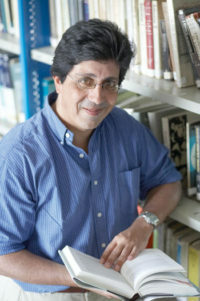 He obtained his PhD from the University of Buenos Aires in 1990. In the same year, he was awarded with a DAAD postdoctoral fellowship and later with an Alexander-von-Humboldt fellowship to pursue post-doctoral research at the Institute of Neurobiology of the Free University of Berlin. He stayed there for several years and received a Habilitation degree from the University of Berlin in 1997, where he was appointed assistant professor. In 2001, he moved to France where he was appointed full professor of the University of Toulouse and where he founded the Research Centre on Animal Cognition. He was the director of this institute since its creation in 2003 until 2017. In 2007, he was awarded with the Silver Medal of CNRS ‘for highest scientific merits’. He is an elected member of the German National Academy of Sciences and the Belgian Academy of Sciences and Arts. He was awarded with several international distinctions and is currently honors professor of several foreign universities. His research focuses on invertebrate learning and memory at different organization levels, from behavior to molecules. He uses 'bottom-up' and 'top-down' approaches and research tools from neuroethology, experimental psychology, and molecular biology in order to characterize and understand the complexity and the rules underlying associative learning in honey bees and to identify its neuronal and molecular substrate and mechanisms. Organization Organizational chart of the CRCA in february 2019. Presentation CRCA scientific strategy Resources Administration, health and safety, communication, coordinators.